Bernard Berenson: A Life in the Picture Trade, by Rachel Cohen, 2013, Yale University Press. The Jewish Lives Book Series. The fascinating life of Bernard Berenson. Trailer includes an interview with the author. Webvideo by Nick Davis Productions. There is a real tension in being a modern man because no one can live at ease in the area of despair. A Christian know’s that this is because a man has been made in the image of God and though man is fallen, separated from God by his true guilt, yet nevertheless he has not become a machine. The fallenness of man does not lead to machiness, but to fallen-manness. Therefore, when people feel this utter despair, there is a titanic pressure, like being extruded against all the long history of reasoned thinking to accept a dichotomy, and then later to accept some mysticism which gives an illusion of unity to the whole. Dr. Robert A. Sungenis discussed Schaeffer’s works extensively in his paper “Philosophy and its Effect on Society,” and he related this illustration Schaeffer used concerning Bernard Berenson:. Bernard Berenson (d. 1959) professor at Harvard, was the world’s greatest expert on Renaissance art in his day. He was sought out for his ability to date and price any Renaissance piece of art. He loved the beauty of Renaissance art, so much so that when he compared it to the ugliness of modern art, in his own words, modern art was “bestial.” Berenson was also a Roman Catholic, at least by name. In one of his own ugly moments, he took a married woman, Mary Costelloe, away from her husband, living with her for years and then marrying her when her husband died (since as a Catholic, Mary could not divorce her husband). But when Berenson married her, they forged an agreement that each would be allowed to have extra-marital affairs, and they lived this way for 45 years. When Berenson was admonished for this, he would simply say: “You are forgetting the animal basis of our nature,” the same thing he said about modern art. Obviously, Berenson could not live within his own system of philosophy. No man like Berenson can live with his system. Every truly modern man is forced to accept some sort of leap in theory or practice, because the pressure of his own humanity demands it. He can say what he will concerning what he himself is; but no matter what he says he is, he still is man. These kinds of leaps, produced in desperation as an act of blind faith, are totally different from the faith of historic Christianity. On the basis of biblical Christianity a rational discussion and consideration can take place, because it is fixed in the stuff of history. When Paul was asked whether Jesus was raised from the dead, he gave a completely nonreligious answer, in the twentieth-century sense. He said, “There are almost 500 living witnesses; go and ask them!” (I Corinthians 15:6). This is the faith that involves the whole man, including his reason; it does not ask for a belief into this void. As the twentieth-century mentality would understand the concept of religion, the Bible is a nonreligious book. …One must understand the concept he calls “mannishness” or the tension of being a man. The idea is essentially that no man can live at ease in the area of despair. His significance, ability to love and be loved, and his capacity for rationality distinguish him from machines and animals and give evidence to this fact: Man is made in the image of God. Modern man has been forced to accept the false dichotomy between nature and grace and consequently takes a leap of faith to the upper story and embraces some form of mysticism, which gives an illusion of unity to the whole. But as Schaeffer points out, “The very ‘mannishness’ of man refuses to live in the logic of the position to which his humanism and rationalism have brought him. To say that I am only a machine is one thing; to live consistently as if this were true is quite another” (The God Who Is There, 68). Schaeffer continues, “Every truly modern man is forced to accept some sort of leap in theory or practice, because the pressure of his own humanity demands it. He can say what he will concerning what he himself is; but no matter what he says he is, he is still a man” (The God Who Is There, 69). The former view mandates that a person begin with himself. However, as Schaeffer notes, “Starting with himself, a person cannot establish an adequate explanation for the amazing possibility that he can observe the world around him and be assured that his observations have a correspondence with reality” (Whatever Happened To The Human Race, 365). Herein lies the problem: Sinful man is forced to provide the answers to the ultimate metaphysical questions, but because they have limited experience they can know nothing with a high degree of certainty. The end result is a hellish tension which leads down the road of meaninglessness and the relativity of morals: “The truth is that everyone who rejects the biblical world-view must live in a state of tension between ideas about reality and reality itself” (Whatever Happened To The Human Race, 369). The second answer is that everything had an impersonal beginning. This answer leads automatically to reductionism. “Beginning with the impersonal must be explained in terms of the impersonal plus time plus chance,” writes Schaeffer. This answer poses many problem. But the two primary problems fail to answer the major philosophical question: the need for unity and the need for diversity. The epistemological answer was summarized by the Reformers. The Reformers did not allow for a dichotomy between nature and grace. The reason: they had verbal propositional revelation. The Reformers were vocal about the reality of God’s existence and the reality of his revelation. Schaeffer popularized this view in the title of his book,He is There and He is Not Silent. God has spoken truly about himself. However, he has not spoken exhaustively about himself. 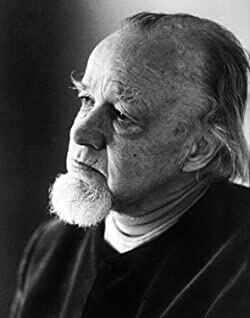 The God Who Is There in The Francis A. Schaeffer Trilogy: Three Essential Books in One Volume by Francis A. Schaeffer. Wheaton, Ill: Crossway, 1990, 199 out of 361 pages, $16.95The God Who Is There by Francis Schaeffer is a seminal work in twentieth century apologetics. Inspiring generations to follow, Schaeffer, an American philosopher, theologian and Presbyterian pastor, is one of the most recognized and respected Christian authors of all time. As his first book, The God Who Is There is one among an essential reading list including Escape From Reason, True Spirituality, How Should We Then Live and A Christian Manifesto. The four volume set, The Complete Works of Francis Schaeffer, is part of this reviewer’s Logos Bible software library. This presentation will give a broad overview and summary of the book, and offer several key points of analysis. The first point of analysis will be the line of despair, which naturally leads to discussion of propositional truth because it is the delineating factor. The steady progression of relativism and irrationality through various disciplines will be discussed with particular attention to theology and the implications to ecumenism. Schaeffer’s tactic of “taking the roof off” will be examined on the basis of the unbeliever’s inevitable leap into irrationality. Finally, the importance of compassion and consistency is emphasized. The review will attempt to show that the book is valuable for its prescient analysis of modern culture and powerful apologetic approach. Schaeffer’s genius was his capacity to communicate difficult philosophical and theological issues to the average Christian. He begins by exposing the problem as a widening gulf growing between the older and the younger generations concerning the knowledge of truth or epistemology. In so doing, he rightly bemoans the mounting acceptance of relativism over antithesis. Of course, the book was first published in 1968 so that younger generation is now mature and relativism is deeply embedded in the public psyche. His analysis was prescient, because today there is an institutionalized divide where scientific truths are held as absolute but morals, values and religion are all relative and preference based. The book is divided into six sections of several chapters. In the first section dealing with the intellectual climate of the late twentieth century, Schaeffer demarcates a major shift in thought by “a line of despair” around 1935 (for the U.S.) which descends step wise through the disciplines of philosophy, the arts, general culture and finally theology. In philosophy, Schaeffer was largely lamenting the then popular existentialist movement with its relativizing of truth. Even so, his critique applies equally to twenty-first century postmodernism. He draws the line of despair at Hegel with his dialectical synthesis but also traces the problem back to Aquinas with his division of “nature and grace” and an incomplete view of the biblical fall which held that man had an autonomous intellect. He moves from Hegel to Kierkegaard who was the first under the line by asserting that a leap of blind faith was necessary to becoming a Christian. With this leap into non-reason, Schaeffer posits him as the father of modern existential thought. The epistemological jump into subjective non-reason is the cause for the despair and the crux of Schaeffer’s critique. It undermines hope. Schaeffer observed, “As a result of this, from that time on, if rationalistic man wants to deal with the really important things of human life (such as purpose, significance, the validity of love), he must discard rational thought about them and make a gigantic, nonrational leap of faith. :” This fuzzy way of thinking leaves no certainty in ultimate matters. While this leap is admitted by existentialists, other philosophies like logical positivism (or scientism) misleadingly lay claim to rationality. Even so, Schaeffer demonstrates positivism’s incoherence in that it simply assumes the reliability of sense data without justifying it. Because it floats epistemologically in mid-air with no foundation, it is self-refuting. In this way, Schaeffer argues that blind faith in science and human progress is ultimately an irrational leap of faith as well. The genius of this book was in showing how this secular impetus in philosophy spread to the culture at large. With no grounding or basis for truth in ultimate matters, art and music also began to reflect the secular despair. The visual arts lost all sense of realism and progressed from the hazy wash of the impressionists to the tortured figures in Picasso’s work. Schaeffer critiques and explains his impressions of figures like Mondrian, Duchamp and the Dada group in terms of man’s leap into non-reason. As art grew more abstract and impersonal so music lost its tonal center. John Cage is an example of a composer who sought to introduce randomness into his music. The absurdity of a composition of total silence is milestone along the descent. One weakness in Schaeffer’s discussion is the neglect of viable Christian alternatives. When one compares the beauty and order of a J.S. Bach piece to a modern like Cage the line of despair stands out in sharp relief. Surely some Christian contemporaries of Schaeffer were producing viable art? But this seems to beg the question of Christians equitably competing in the contemporary artistic culture. There is surely an element of secular snobbery involved in the academy. Even those not inclined toward the sophisticated art forms are influenced in popular films and television. He makes a convincing case that the culture as a whole had fallen below the line. What all disciplines share is the divided field of knowledge and the belief that truth is unknowable in ultimate matters. The trend toward despair is traced through the literature of Henry Miller and Dylan Thomas and the point is well illustrated. He observes that things like purpose, morals and love are relegated to the domain of opinion. Even so, an exemplary aspect of Schaeffer’s critique is that it is compassionate. After dissecting the absurdity seen in modern art forms he reminds the reader, “There is nothing more ugly than a Christian orthodoxy without understanding or without compassion.” Man’s despair is real and it is epistemic of relativism and a deep lack of real hope. He frames the state of affairs as an opportunity for the church to compassionately declare that God is really there. We may not play with the new theology even if we may think we can turn it to our advantage. This means, for example, we must beware of cooperation in evangelistic enterprises which force us into a position of accepting the new theology as Christian. If we do this, we have cut the ground from under the biblical concept of the personal antithesis of justification. Schaeffer critiques Barthian neo-orthodoxy as well as liberal Catholic thought, labeling it as ostensibly “semantic mysticism.” This did not happen overnight and he traces it back to Aquinas’ division of nature and grace, which sought to find a corporate meaning, to more desperate modern formula of the irrational over the rational, with no hope of unity. He argues that because the new theology has divorced faith from reason you can testify to it but you cannot really discuss it. Indeed, finding the point of irrationality and pressing it to the forefront of discussion is at the heart of Schaeffer’s apologetic. Foundational to Schaeffer’s thought is that God has communicated real propositional truth to man in the Bible. It follows necessarily that the antithesis of God’s truth is false and this is the basis of what he calls “taking the roof off.” The idea is that secular presuppositions invariably contain an incoherence that when pressed lead to an absurd and intolerable conclusion. Without this realization, the unbeliever lives comfortably under a roof of irrational beliefs which shield him from the outside world. When the roof is removed, reality comes crashing in. The task of the apologist is to find a point of tension and lovingly yet firmly carry it through so the incoherence is obvious. If one can lead the unbeliever to see that his own system is unlivable, then there is a real opportunity to provide biblical answers. Taking the roof off is often painful because the real dilemma of modern man is moral and he is culpable to God. This is the truth of the Gospel which is often most offensive. There really are no “good” people. The supernatural atoning work which Christ finished on the cross is the content of real biblical faith. But because they may never read a Bible, Schaeffer argues that the final apologetic is how the world sees Christians living individually and corporately. It follows that the message of the final section of the book is one of housecleaning. Individually, as an ambassador of Christ to the fallen world one must examine his own presuppositions with equal rigor. In an increasingly biblically illiterate (or skeptical) culture, Christianity is judged by the words and actions of Christians. Corporately, when Christians do not live as if God is really there, then it is hard to expect the world to believe our message. The book teaches that a cold hearted orthodoxy is a poor substitute for loving authenticity. While a very strong case is made for the latter, a weakness in a book with this title (and perhaps indicative of Schaeffer’s training under Conelius Van Til) is that there is a conspicuous lack of evidential arguments for the existence of God. Nevertheless, because God is really there and calls the world to worship Him, Schaeffer’s apologetic works. The pride of life is a constant barrier and Schaeffer asserts, “Men turn away in order not to bow before the God who is there. This is the ‘scandal of the cross.’” The challenge to believers is to live in way that shows His presence. This brief summary and analysis of The God Who Is There sought to illustrate the value of the book for its scrutiny of Western culture, concept of truth and apologetic method. The so-called “new theology” was discussed as concession to the relativistic philosophy. It was agreed that man is truly fallen and guilty in the eyes of the Holy God who is really there. Because of this, the task of modern evangelism and apologetics is often to expose the incoherence of secular presuppositions in a firm yet compassionate way. Relativism is ingrained in the secular culture but there is also plenty of work to be done within the evangelical community. In the end, it seems that these points support the idea that this book is still extremely valuable for study. 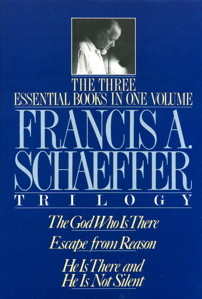 Francis A. Schaeffer, The God Who Is There in The Francis A. Schaeffer Trilogy: the Three Essential Books in One Volume. (Westchester, Ill.: Crossway Books, 1990), 211. Episode #239: Artist Nick Cave discusses the experiences that force him to confront his identity as a black man—including being racially profiled by police—and how they fuel his impulse to create. Cave explains that in these moments he gets quiet and avoids lashing out in rage. “And if I do, lashing out for me is creating this,” he says in reference to his intricately constructed Soundsuits. “The Soundsuits hide gender, race, class and they force you to look at the work without judgment.” The exhibition “Here Hear,” which included a large-scale community performance, was installed at Detroit’s Cranbrook Art Museum in 2015. The museum is associated with the Cranbrook Academy of Art, where Nick Cave attended graduate school in the 1980s and was the only minority student at the time. Nick Cave creates “Soundsuits”—surreally majestic objects blending fashion and sculpture—that originated as metaphorical suits of armor in response to the Rodney King beatings and have evolved into vehicles for empowerment. Fully concealing the body, the “Soundsuits” serve as an alien second skin that obscures race, gender, and class, allowing viewers to look without bias towards the wearer’s identity. Cave regularly performs in the sculptures himself, dancing either before the public or for the camera, activating their full potential as costume, musical instrument, and living icon. The artist also works with choreographers, dancers, and amateur performers to produce lavish community celebrations in untraditional venues for art. Cave’s sculptures also include non-figurative assemblages, intricate accumulations of found objects that project out from the wall, and installations enveloping entire rooms. Learn more about the artist at: http://www.art21.org/artists/nick-cave CREDITS: Producer: Ian Forster & Nick Ravich. Consulting Producer: Wesley Miller. Interview: Stanley Nelson. Editor: Morgan Riles. Camera: Jamin Townsley. Sound: Richard K. Pooler. Artwork Courtesy: Nick Cave. Special Thanks: Cranbrook Art Museum, Robert Faust, William Gill & Laura Mott. ART21 “Exclusive” is supported, in part, by 21c Museum Hotel, and by individual contributors.